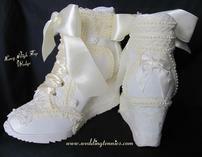 White or Ivory! Rubber platform sole is flexible and non-marking. 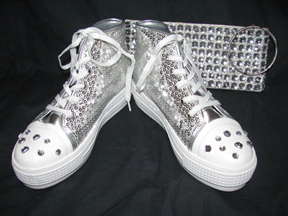 1 1/2" heel height. 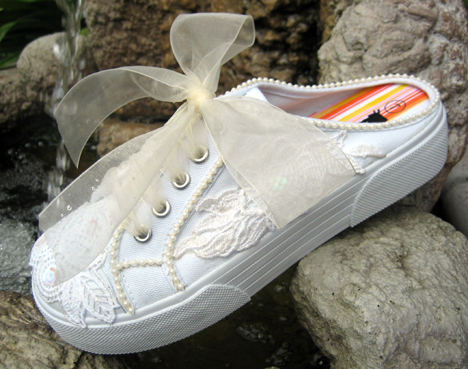 Canvas upper breathes to keep foot cool and comfortable. 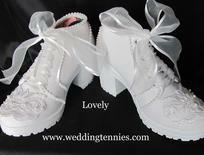 Rubber sole is non-marking and flexible. 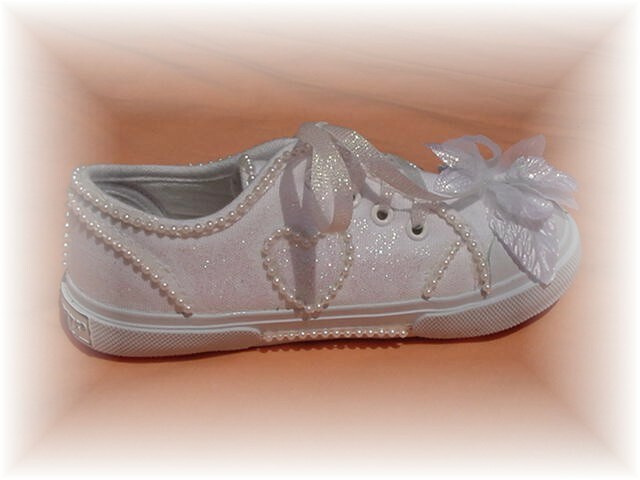 Padded insole provides extra comfort. 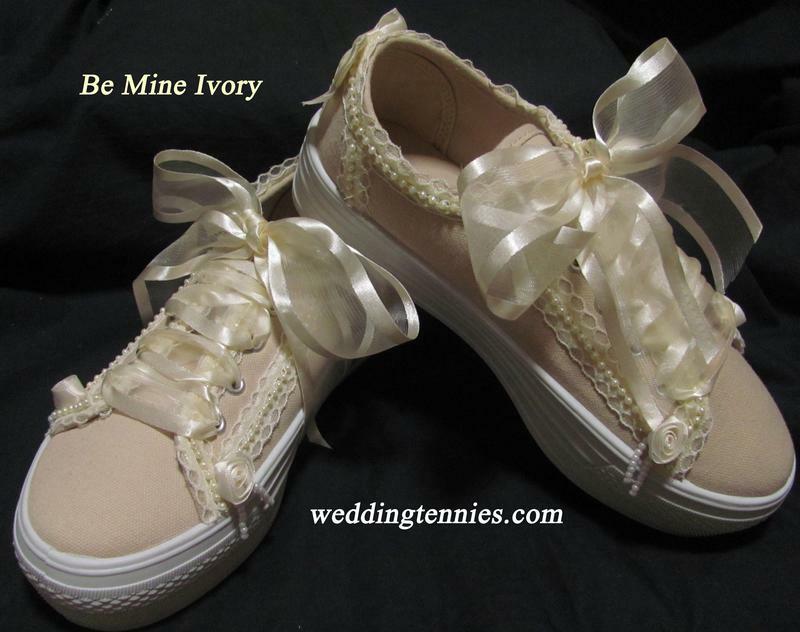 Canvas upper slips on and off with ease. Manmade sole is non-marking and skid resistant. 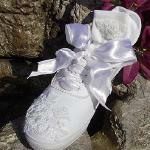 Padded sock provides additional comfort in every step. 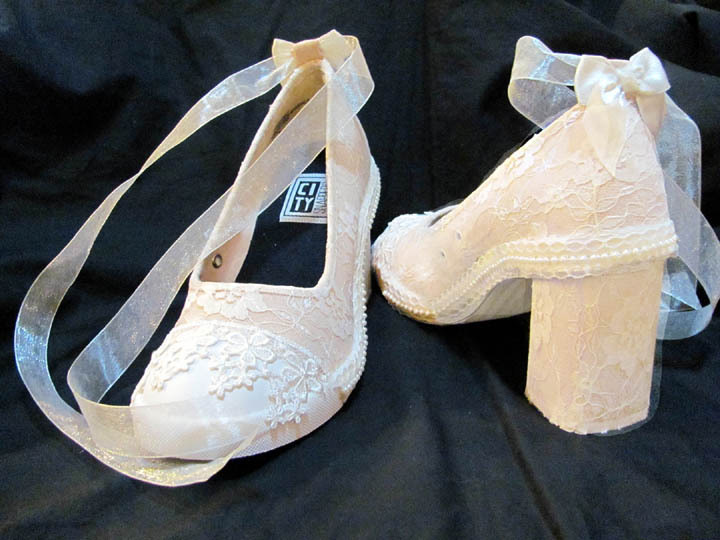 1 1/2 heel height. 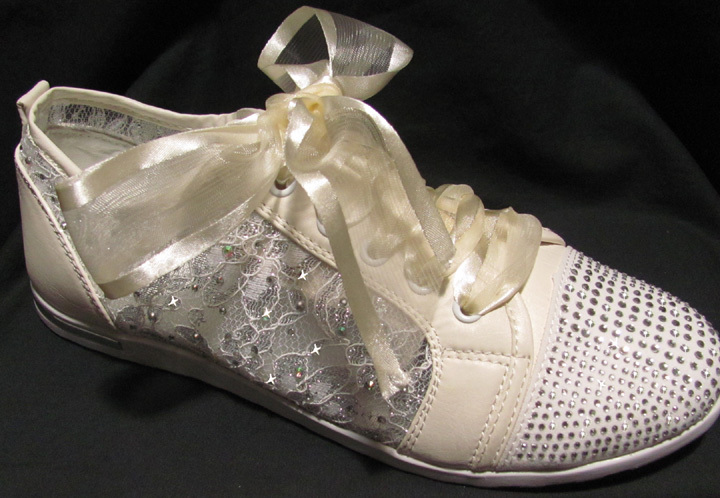 Beaded or lace socks to match your tennies! 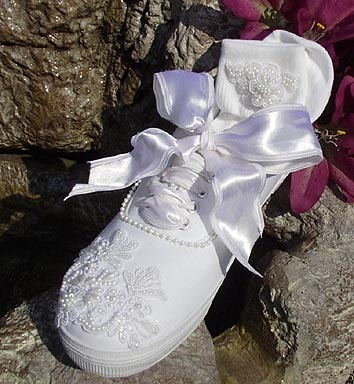 Can be made for ring Bearers too! 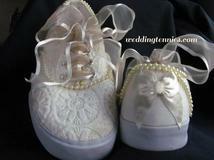 Email or call for info. 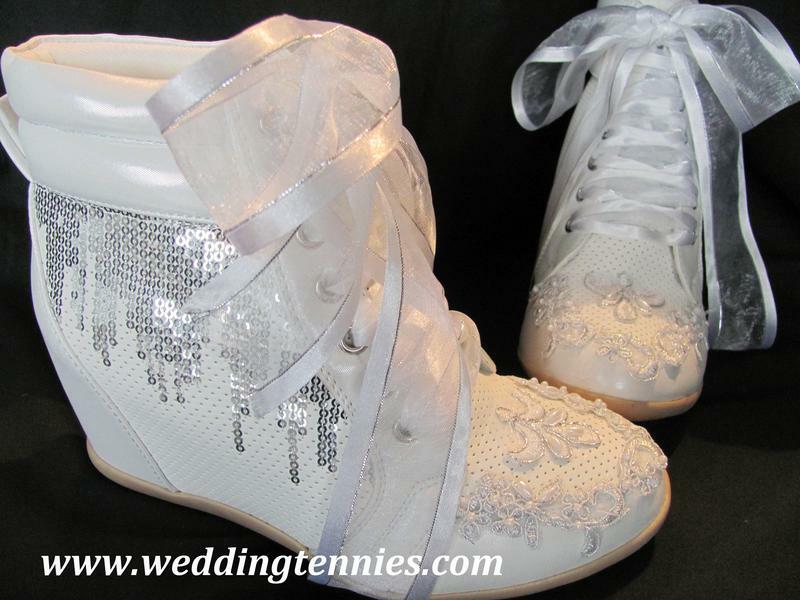 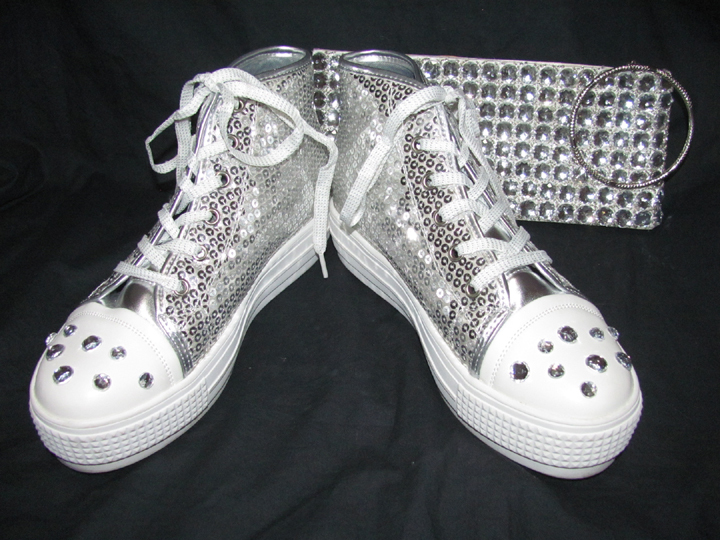 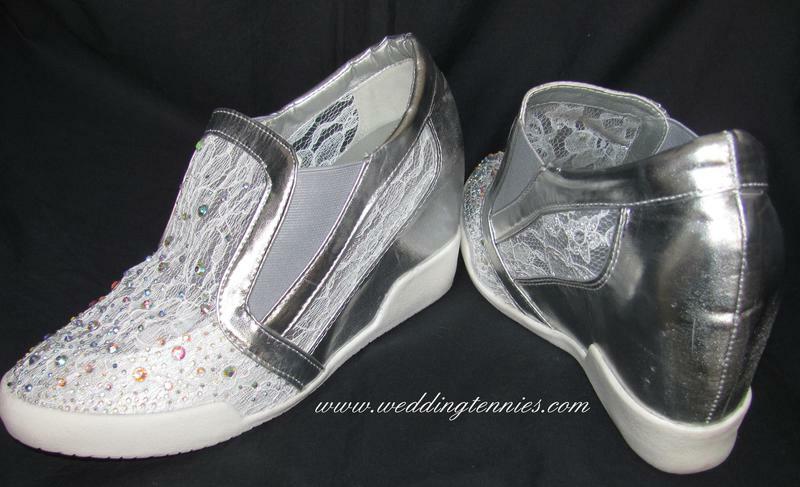 On trend Silver Sequin covered High Top Tennies with rhinestone embellished toes. 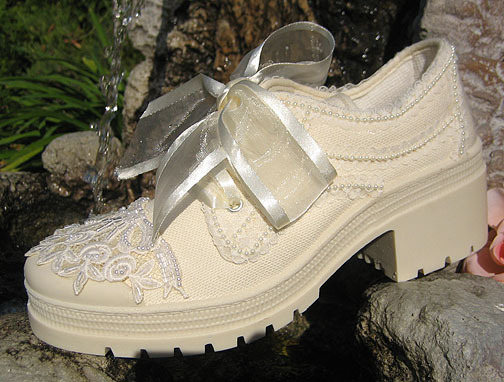 Rubber mini platform sole. 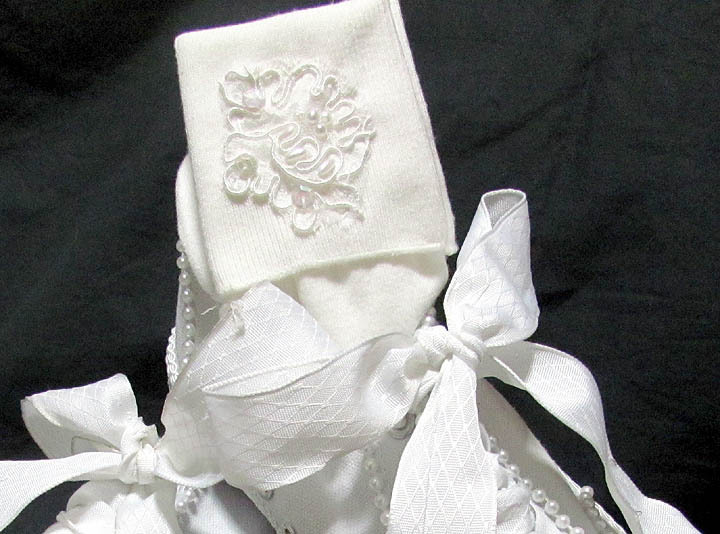 Shown Ivory on White. 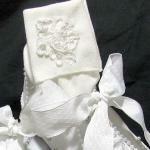 Can be made in white on white or ivory on white. 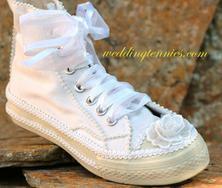 Off White tennie with Lace and Pearls. 4 inch heel. 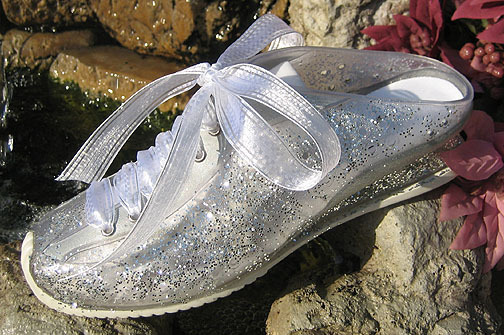 Makes heart shaped prints in the sand. 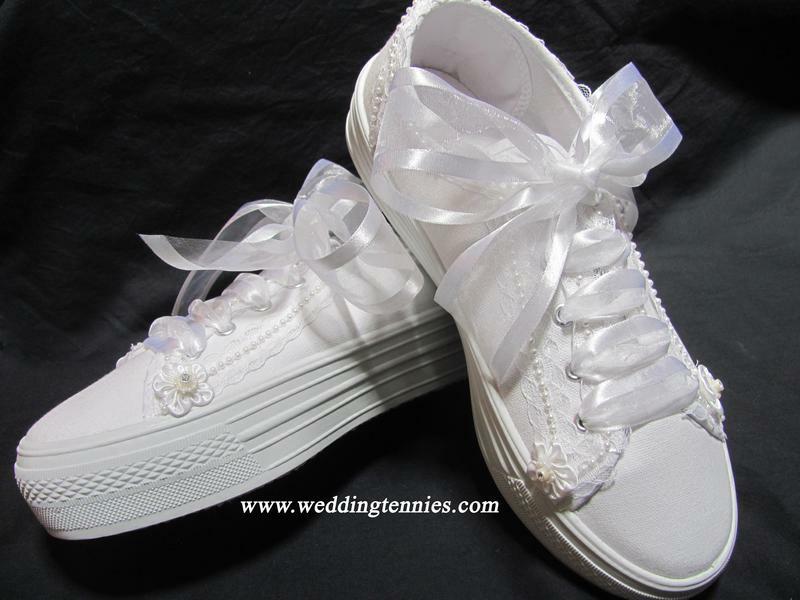 Simple & comfortable! 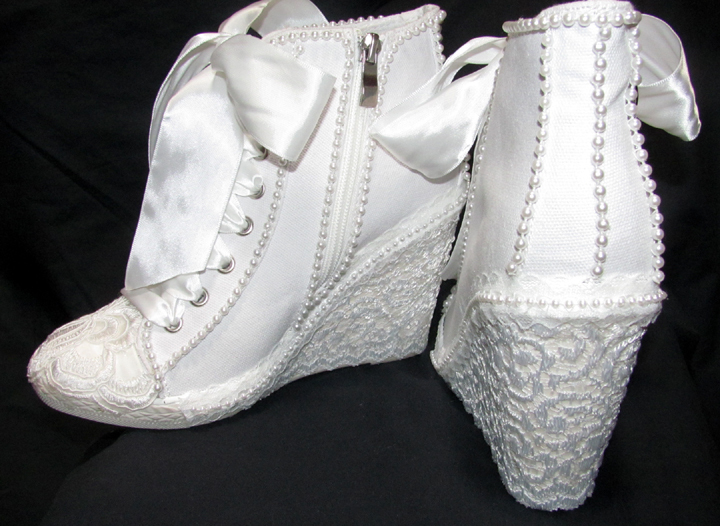 On trend Silver white lace and ABS sequins adorn these 3 inch wedges . 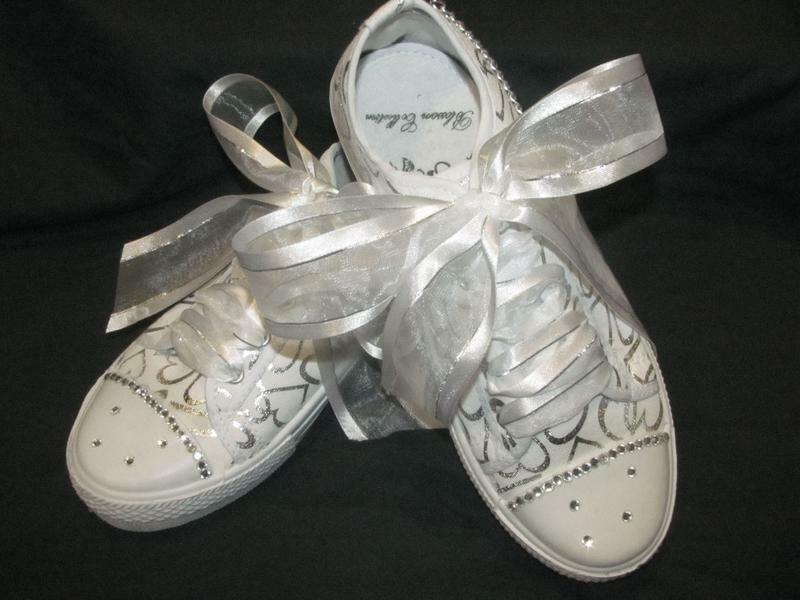 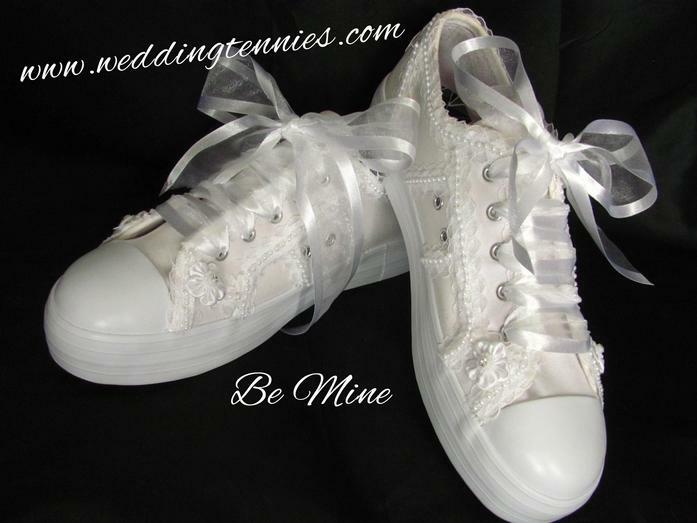 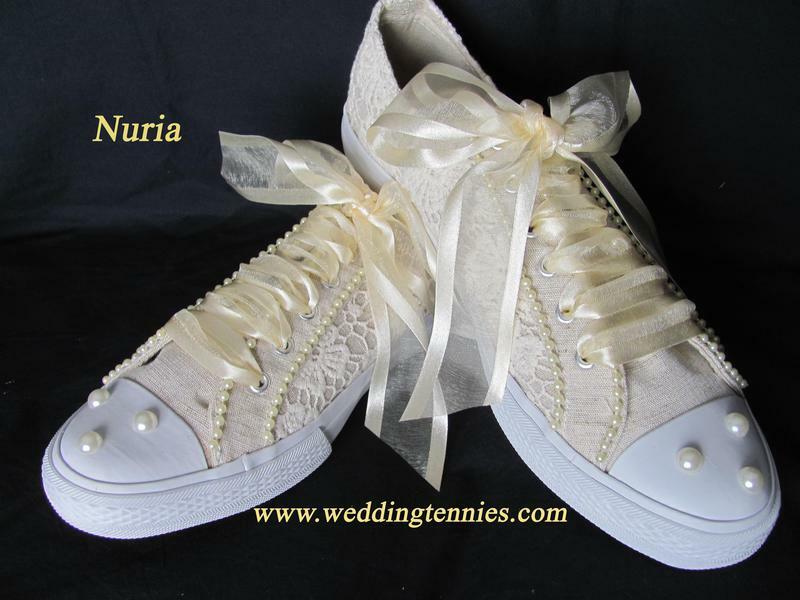 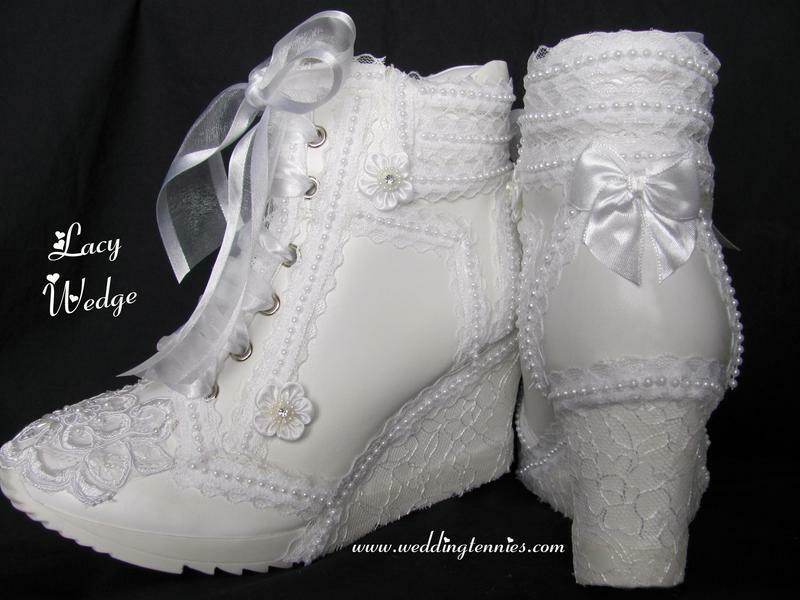 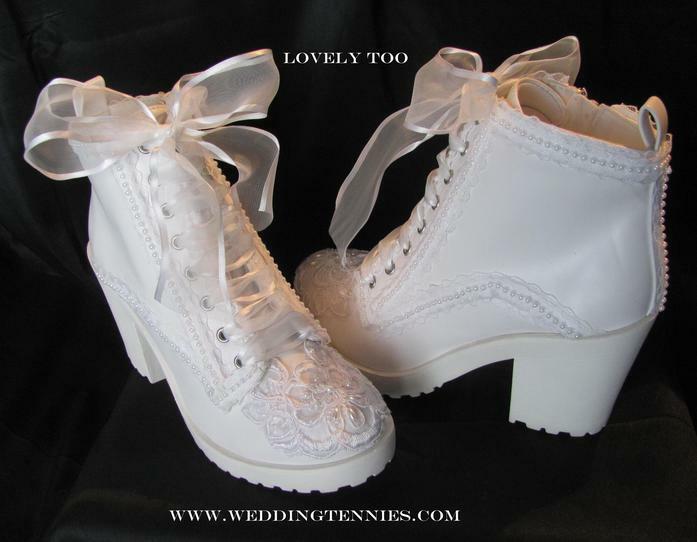 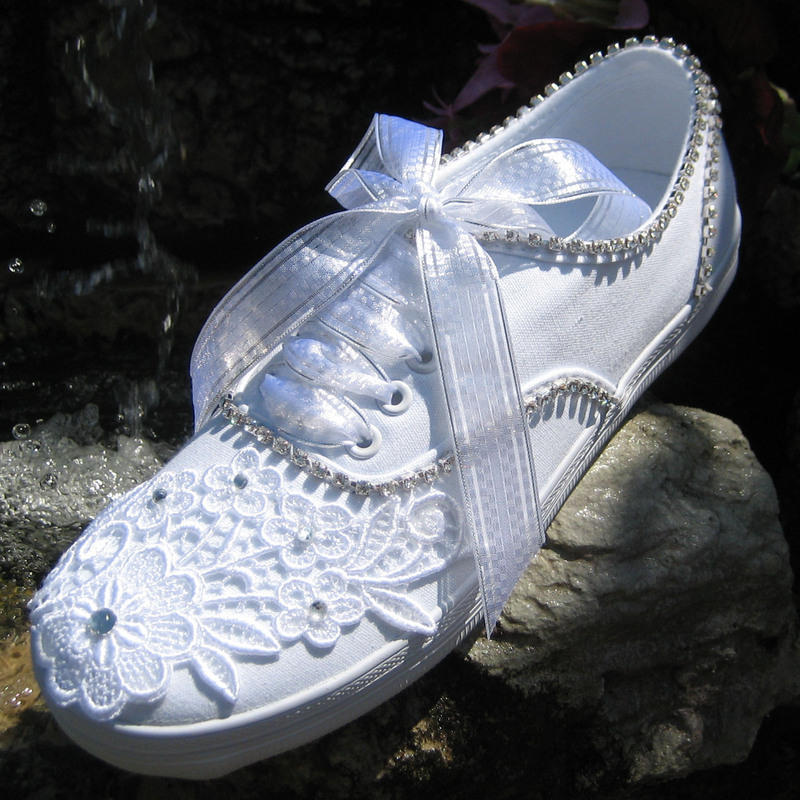 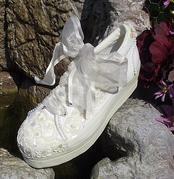 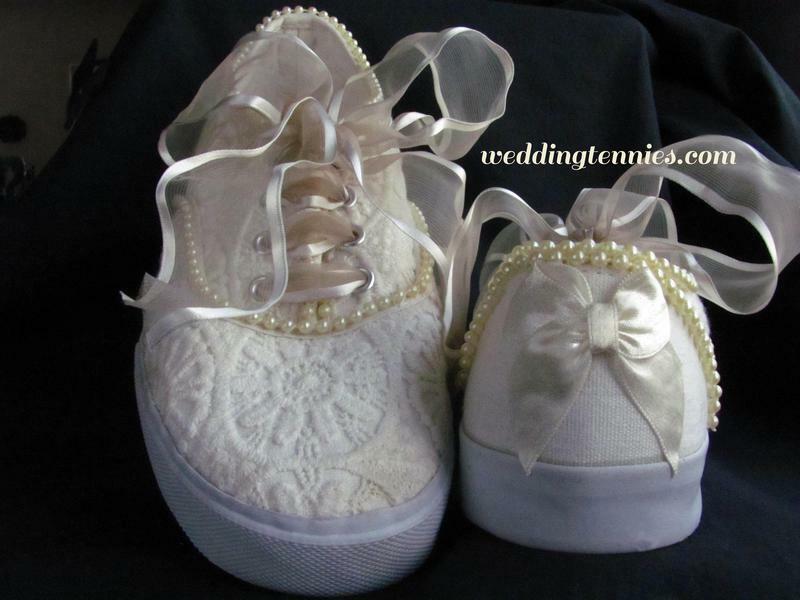 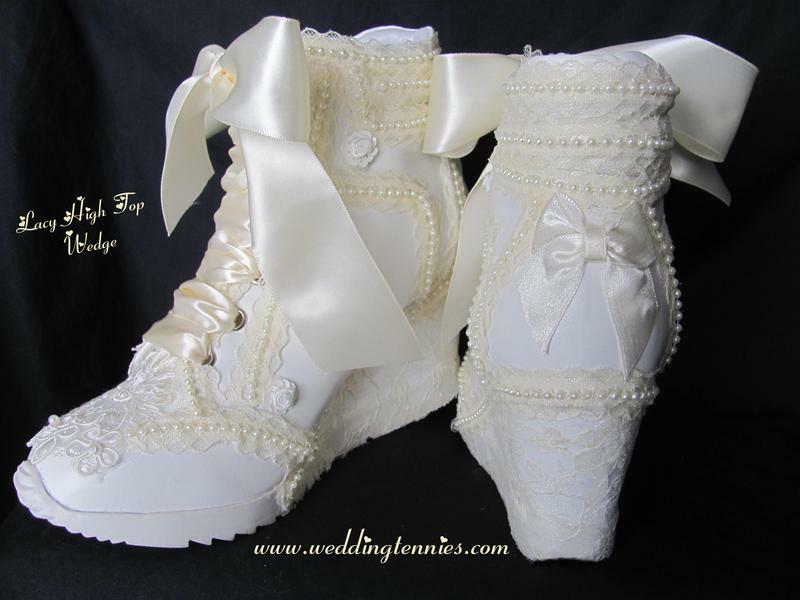 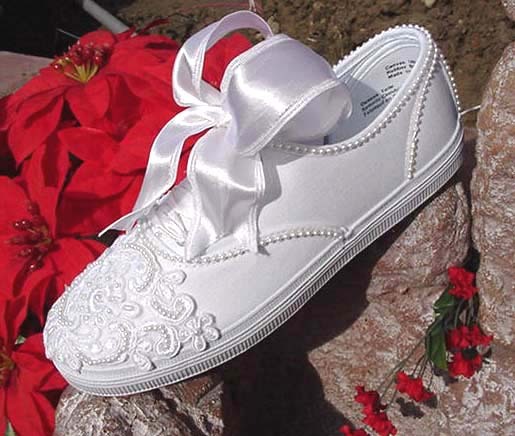 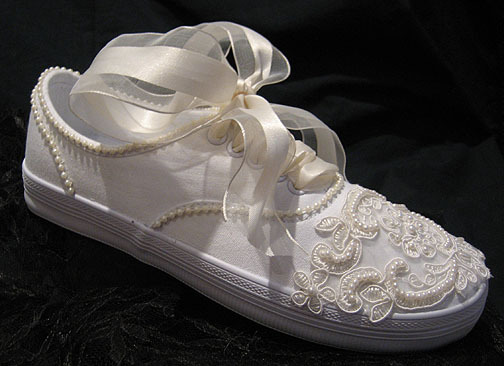 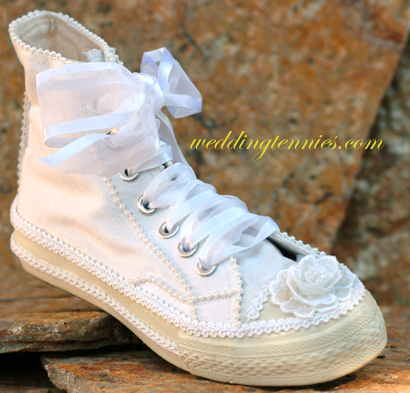 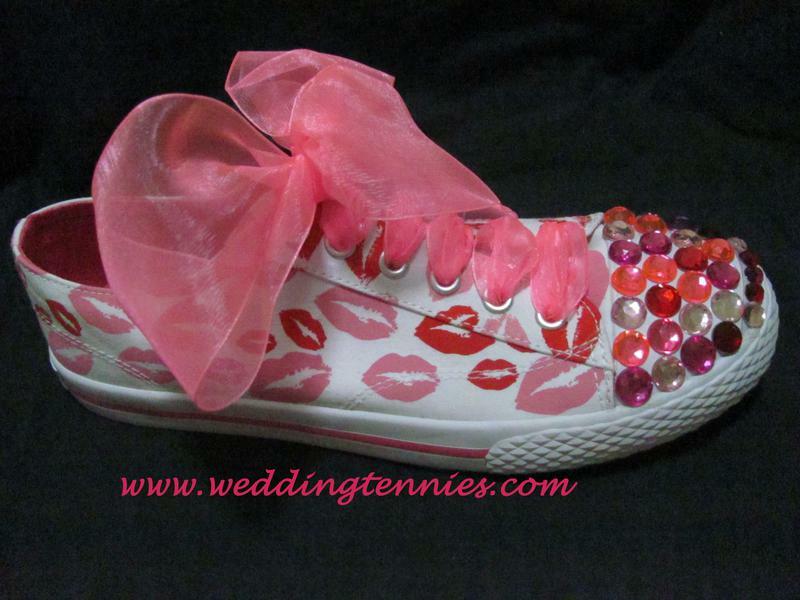 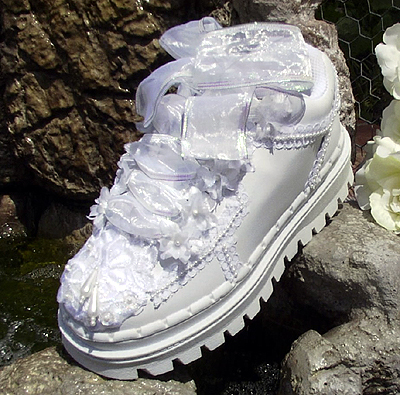 Rhinestones cover the top of these white rose lace slip on's with mini platform.  Runs small. 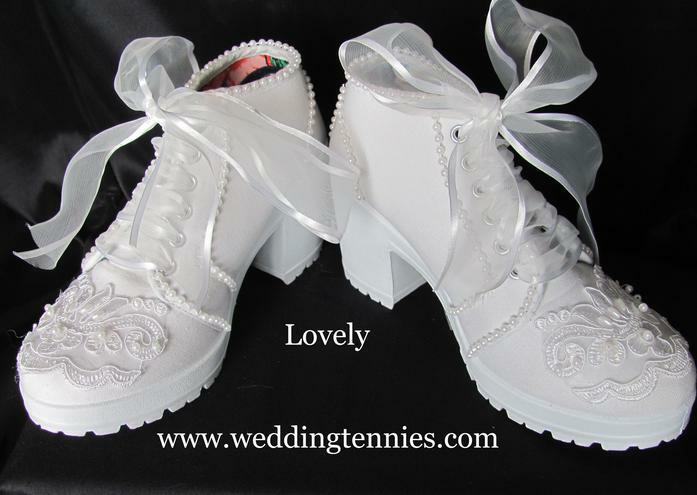 White chunky heel tennies. 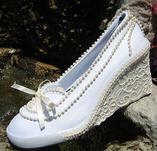 Super comfortable 3" Heel! 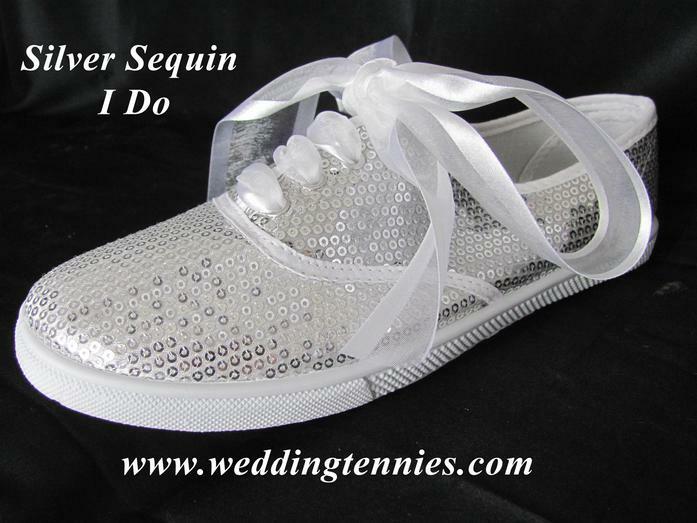 Silver Sequin Tennies with Rubber sole is non-marking and flexible.